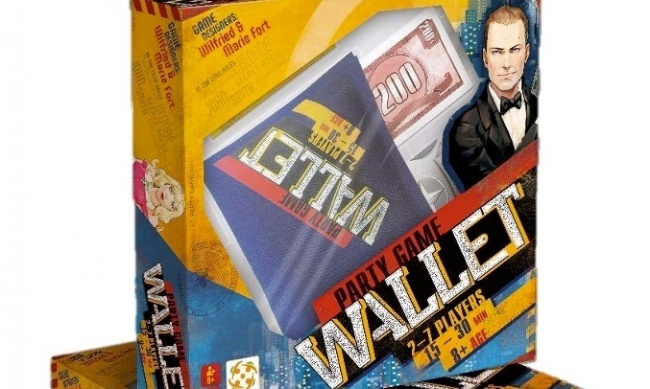 A different kind of party game is on offer from Cryptozoic Entertainment this summer when it releases Wallet in June. In Wallet, the players are gangsters surrounded by the cops. Their only hope to get away is hidden in the boss’ wallet, conveniently dropped while he makes his escape. The game is played with the cards tucked into an actual bi-fold wallet with numerous pockets and zipper-closed areas that can hide all kinds of mobster needs: fake ID cards, currency from different countries, precious goods, and even the undercover cop’s badge. Over the course of the game, players pull cards out of the wallet hoping to find a plausible ID and just enough money to cover a bribe. The wrong ID or too much cash and they’re on their way to jail. The player who can score the most points over three games is the winner of the match. 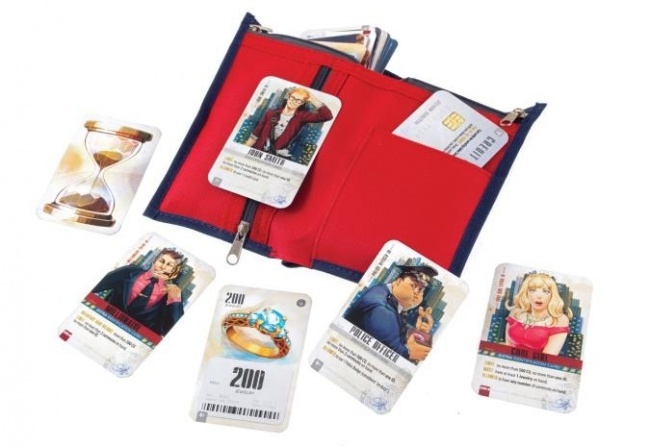 The game comes with a cloth bi-fold wallet, which can be used to carry the entire game as a sort of travel-sized package, 106 cards, 37 victory point tokens, and 7 coins. 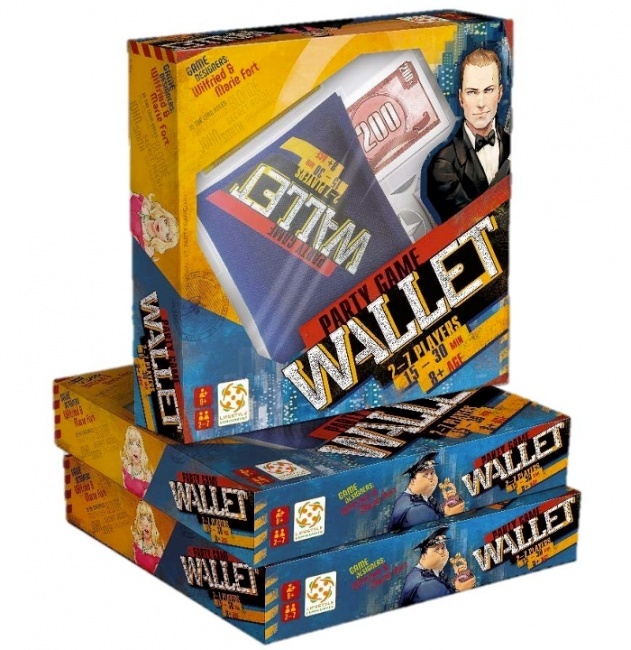 Wallet was created by Wilfried and Marie Fort (the duo behind Splash), and can be played by 2 to 7 players, ages 9 and up. Each full match takes about half an hour to play. MSRP is $30.00. Cryptozoic has also announced a new Rick and Morty game (see "‘Rick and Morty: The Ricks Must Be Crazy Multiverse Game’") and a new expansion for its DC Deck-Building Game (see "New Gods Join ‘DC Deck-Building Game’") for mid-2018.